NAB 3: Hardwick post-match Damien Hardwick speaks to the media after the NAB Challenge match against Port Adelaide. Richmond star Brett Deledio made an overall smooth return to the playing field in last night’s final NAB Challenge match against Port Adelaide at Etihad Stadium. 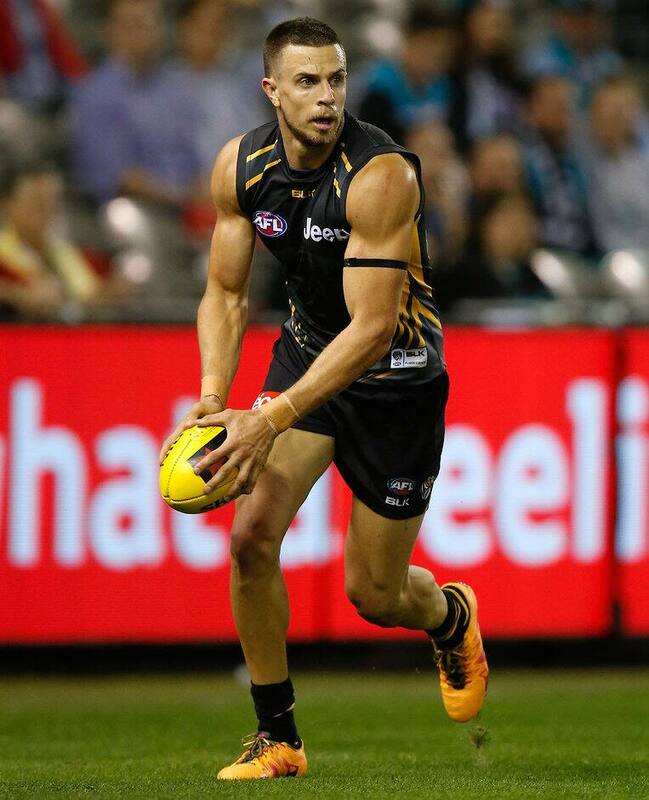 Deledio was playing his first game of the year after being on a modified program through the pre-season because of Achilles tendon and calf issues. The Tigers’ vice-captain moved freely throughout his designated half of playing time, and kicked the only nine-point goal of the match from a lovely left-foot shot on the run. “He came into the game,” said Richmond’s coach Damien Hardwick. “I thought, like a lot of our blokes, he was a bit fumbly . . . couldn’t quite handle the ball. It was a little bit slippery to start. “But he got better as the game went on. “We only had in mind that he play 50 minutes, and I think he hit that just prior to half-time.